Apple officially released its WatchOS 5 for its Apple Watch lineup. WatchOS 5 bring some huge changes and additions to the Apple Watch. 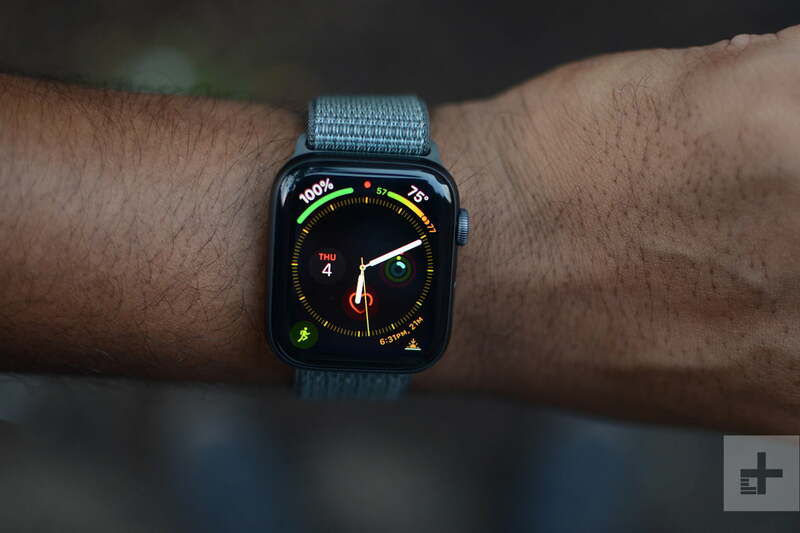 There’s a new walkie-talkie mode, improved health-tracking features, and more — all of which is set to show up on the Apple Watch Series 4. Here are all the new features you’ll find on WatchOS 5. One of the most impressive and anticipated features on the Series 4 is the built-in electrical heart sensor. Users can take an electrocardiogram to measure the electrical activity of a heartbeat to help diagnose heart disease and other conditions. You will then be able to share the ECG with a doctor, who can see a more detailed picture of what’s going on in order to help diagnose you. But the feature wasn’t available at launch, and Apple assured users that it’d be available later in the year. According to MacRumors, which obtained an internal Apple Store training document, the ECG functionality will be available in watchOS 5.1.2. For the ECG readings, Apple designed an app that allows users to take a reading by placing their finger on the Digital Crown of the Apple Watch. In 30 seconds, the watch will be able to determine if there’s irregular heart rhythm which could point to atrial fibrillation. But the document states the ECG app is regulated and only available within regions that clear it for use. Since Apple has received FDA clearance in the United States first, use will initially be limited to the states until there’s clearance in other countries. MacRumors mentions that the document also states Apple Store employees are specifically instructed to let customers know that it shouldn’t replace traditional methods of diagnosis or devices, and that they should always consult a doctor first. While WatchOS 5.1.2 has been in beta since November, there’s still no release date for the official version. But since Apple did say that the ECG app will be available later this year, and 2018 is coming to an end, it’s possible the OS will be released next month. Apple is also putting a huge emphasis on accurate fitness tracking in WatchOS 5. The company studied more than 7 terabytes of fitness data from more than 12,000 participants to make sure the Apple Watch is able to deliver the best tracking measurements. It’s celebrating by including some new exercise-focused features in WatchOS 5. You’ll find a new competition mode in WatchOS 5 that allows you to enter a seven-day competition with a friend. You can track both your own and your friends’ progress during the competition and the winner will win an Apple Watch award. WatchOS 5 also features new fitness modes. Yoga mode will track your activity via the heart rate monitor, and a Hiking mode will use your pace and elevation to better determine the number of calories burned. Runners will see improvements, too, as the Apple Watch now offers a custom pace alert, tracks your cadence, and even provides time data on the previous mile run while you’re running. Finally, you’ll see new start and end workout alerts. WatchOS 5 will use your heart rate data to determine when you’ve begun a workout. When you reach a heart rate or time goal, it will offer an end alert on the home screen. 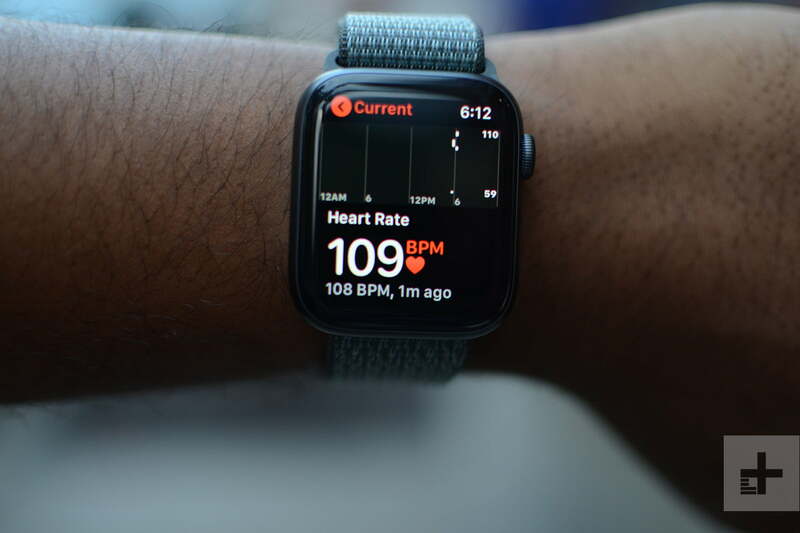 When Apple announced the Apple Watch Series 4, it said that the device would be capable of tracking both heart rate and heart rhythm, as well as performing electrocardiograms. Those features will all be on offer in WatchOS 5, but only on the Apple Watch Series 4; these features will also be limited to certain regions. Apple has finally added the Podcasts app to the Apple Watch. Now, you won’t be limited to listening to music from your watch — you’ll also be able to listen to podcasts. That’s a very welcome improvement for those that use their Apple Watch without their phone from time to time. Users can manage their synced podcasts from the Watch app on the iPhone. Simply open the app, head to Podcasts, and then select what you want and don’t want to sync to your Apple Watch. New podcasts are automatically added to your Apple Watch when they become available and there are also Podcasts complications you can access. Apple is making it a little easier to multitask in WatchOS 5. For starters, it added small status icons at the top of the interface for when an app is in use — allowing you to quickly and easily return to that app. For example, if Maps is navigating you somewhere and you change to a different app, you’ll find a Maps icon at the top of the interface allowing you to switch right back to the Maps app. Watch WatchOS 5 there are also a ton new watch faces. 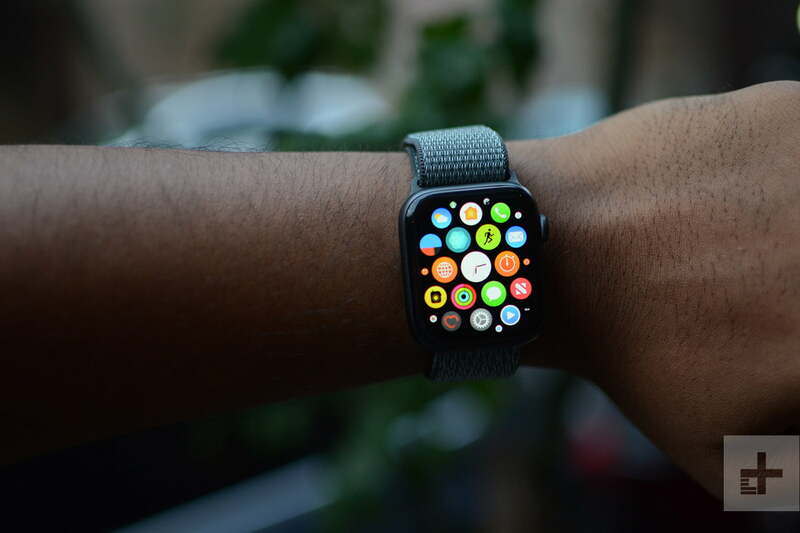 For example, there’s the Breathe watch faces, which are available in classic, calm, and focus. There are also new motion faces, including fire and water, vapor, and liquid metal. The Apple Watch is also getting a few changes that came to the iPhone. For example, notifications are now grouped together to help users more easily manage them, and you can easily manage your notification preferences by swiping left on an app notification. Siri may need a little work in general, but it’s a whole lot easier to use on the Apple Watch. How? Well, now, all you have to do is raise your wrist to your mouth and speak — and Siri will be listening. You will, however, need to activate the feature — which you can do by heading to the Apple Watch Settings and going to General, then Siri. Siri has been given a few visual changes too, specifically in the Siri watch face. The Siri watch face itself isn’t new, but the face will now show Siri shortcuts including those from third-party apps. You can customize what shows on the Siri watch face too, straight from the Watch app on your phone. WatchOS 5 brings several awesome communications improvements. First off is the new Walkie-Talkie mode. 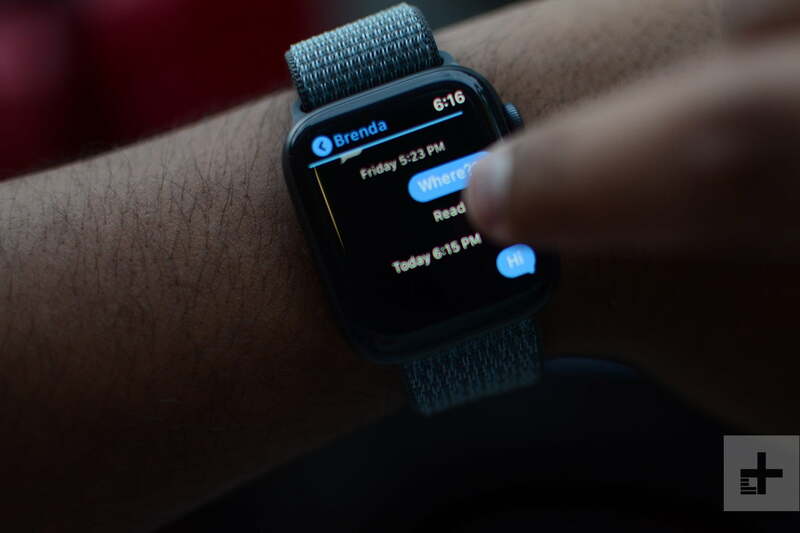 With Walkie-Talkie, you can add friends to your Apple Watch and communicate with them just by tapping the Talk button in the Walkie-Talkie app. Your Siri watch face will also get a huge update as well. The new Siri watch face will provide more context-sensitive information. It will be able to provide information on your favorite sports teams, and offer commute and traffic information when it knows you’re most likely to be traveling home. WatchOS 5 will also see the introduction of Siri Shortcuts. With Siri Shortcuts, you can do things like check on your flight, extend a restaurant reservation, or even order coffee. WatchOS 5 is finally adding a Podcast app, too. This app will automatically download your favorite podcasts directly to your Apple Watch, so you no longer need your phone to listen to your favorite shows. Another long-awaited addition is WebKit. With WebKit, you will be able to view web pages from Messages or emails. Apple has tweaked the way notifications show, and you’ll find notifications from the same app grouped together, so you won’t need to scroll as much. WebKit means you can tap links on your notifications and see an optimized view of that website, and you can schedule a Do Not Disturb period, or set a specific location where you don’t want to be disturbed. Finally, there’s no need to say, “Hey Siri” anymore — now you can simply raise your wrist to your mouth and Siri will already be listening. This is a fairly niche one, but it’s worth mentioning. Students at a handful of colleges across the U.S. will be able to use their Apple Watches as their student ID, thanks to NFC. This means they’ll be able to use their watches to pay for laundry, open rooms, and even grab a bite to eat. Our list is not exhaustive in any sense; we’ve simply focused on some of the most exciting updates in WatchOS 5. If you want to check out every new feature and update, head over to Apple’s WatchOS 5 page. Apple released its WatchOS 5 update on September 17. To download it, you’ll need to open the Watch app on your iPhone and tap General > Software Updates > Install. As long as you’re not the owner of a first-generation Apple Watch, you’ll receive WatchOS 5 later this year. Updated on November 28, 2018: Apple’s ECG app will reportedly be available on WatchOS 5.1.2.